It is one of the rarest and most obscure releases of Sega’s Genesis era, to a point where many collectors even doubt its existence. It spearheaded a promotional campaign that somehow failed to manifest in the Western market, only to appear in the unlikeliest of places. And it was part of a movement that was considered back in its day to fundamentally change gaming itself, a game that pretty much vaporized like the entirety of its genre eventually would. This is the story of whatever became of an almost mythical, Brazilian exclusive release: The 32X CD version of the FMV rail shooter Surgical Strike. 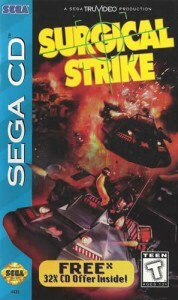 For some gamers in the current day and age, it might seem odd that someone would want to shine a spotlight on an obscure port of an unremarkable game, from an unpopular genre, and released on a failed platform; especially since nowadays, the originally released Sega CD release of Surgical Strike seems more like a footnote in the much derided FMV genre. It is a very peculiar combination of events, however, of failed expectations, unrealized plans and unexpected circumstances that make Surgical Strike for the 32X CD a game of special interest, an artifact of the mid-’90s gaming landscape, a side branch of an era that promised so much, but somehow never left a lasting impression. For many years, all that was known about the game was a photograph of some banged-up box and a short video clip of someone showing what appeared to be a 32X CD. Over the years, only two collectors had stepped forward claiming to own a copy of the game, and one of them sadly passed away, with the whereabouts of his copy remaining unknown. Now, with this article, we try to dig deeper and uncover more information about this particular obscurity. To better understand, let us journey back to the mid-’90s. Sega and Nintendo are dominating the console landscape. By 1994, Sega had grown from a perceived underdog to a powerhouse that rivaled the juggernaut Nintendo for market share. But the times were changing. The Genesis, Sega’s leading console on the market, is beginning to show its age and lose some steam, while Nintendo is finally changing its direction due the competition. At the same time, new companies, spurred on by the success of the House that Sonic Built and new technologies, are pushing into the market. Sega still had many fans and supporters but in order to stay in the game, it had to deliver something new to keep its edge. With the debut of the Sega CD in 1992, Sega had already tried to usher in this new era. Technologically, the arrival of the CD medium promised a huge leap in the gaming landscape. More storage data, redbook audio, and the ability to actually play moving video as compared to sprite-based graphics seemed like a huge step up. In hindsight, low resolution movie clips on a limited color palette and gameplay reduced to simple button presses look archaic at best, but back in the day, it seemed like a milestone. However promising this new technology seemed though, it failed to pick up steam (for more insight into the how and why, check out our excellent feature, The Rise and Fall of FMV). Still, Sega, more specifically, Sega of America, was still standing tall, and even with the lack of success the Sega CD had to date, it wasn’t prepared to throw in the towel just yet. With new competition on the horizon, an upgrade in technology would bring a new push forward, ringing in new innovation while at the same time reinvigorating old platforms. This push would come in the form of a new add-on, the 32X! Now, the reasoning behind the 32X, its release and its chances of success (or lack thereof) have been cause for many a debate, and this is neither here nor there. Still, even before this new add-on arrived, it was clear that in order to sell it, Sega needed a few launch titles that would showcase the strengths of the new technology. The prospect of FMV games still seemed like a good idea at the time. 1994’s critically acclaimed Wing Commander III showed what full-motion video could contribute to the overall video game experience. It made sense to utilize the strengths of the new add-on, namely more processing power and a greater power palette, to eliminate the weaknesses of the Sega CD to produce an exciting interactive movie that would push both the faltering hardware and the promising new add-on, thus prolonging the market superiority of the Genesis for a while longer. 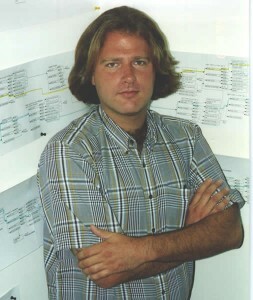 Chris Bankston, Executive Producer at TruVideo, in 1994, standing in front of the decision tree crafted for Surgical Strike. As was the case with many TruVideo titles, programming was handled by the Leeds-based company, The Code Monkeys, a company Bankston says he helped create back during his time with Epyx. Since the video material was already shot digitally at a higher resolution than the Sega CD (even with added 32x support) was able to produce, downrendering the clips wasn’t much of a problem. As already mentioned, when the 32X was nearing its own launch, Sega made the decision to enhance some of its Sega CD FMV games. Overall, six such 32X CD games were released. Four of them were games made by Digital Pictures: The infamous Night Trap, the shooter Corpse Killer, the lackluster sports game Slam City, and probably the nadir of all FMV games released on the platform, the abysmal fighter Supreme Warrior. Sega, on the other hand, had two games at hand, fresh out of the TruVideo pipeline. 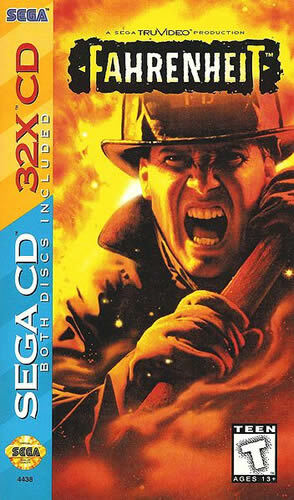 The firefighting interactive movie Fahrenheit got a single, special release in North America. Both the Sega CD game and its enhanced 32X version were released in a single package in that region. Players who only owned a Sega CD could just pop in the so-called “key disc” and play the game in its regular state. However, if the console registered a 32X hooked up as well, the same disc would prompt a message, urging the player to insert disc two instead, which contained the enhanced video. This was handled differently than with the four releases by Digital Pictures, where the Sega CD and 32X CD versions were separate entities entirely, which may have caused some confusion among many a Sega fan. The lack of success of the 32X would result in Europe and Japan only receiving the single-disc Sega CD version of the game, though. Surgical Strike would have gone a similar route, but Sega had bigger plans for this particular release. In order to give the 32X add-on a little push, only the disc containing the Sega CD version was published. This release contained a special promotion, advertised directly on the packaging. Interested players could send a card to Sega in order to receive the 32X disc for free, save some shipping costs. The game would have worked in a similar fashion to Fahrenheit. The Sega CD version would still be needed as a key disc, while the second disc would only hold the 32X content and would only play when the Sega CD disc was inserted first. At about the same time the promotion took place in the U.S. on the Sega CD game’s packaging, European magazines were running ads for the whole 32X package, hinting at an intended 32X CD exclusive release overseas. By 1995, FMV games in general went into decline. The reasons were many. Interactive movies usually got lambasted by the press, not only for their limited gameplay, but also due to the reception of their content. In 1994, four titles in Entertainment Weekly’s “most violent games” list were FMV games. Also, while filming resulted in rather high production costs (as mentioned above), players had eventually become bored with the genre, since most entries were similarly styled movies with limited interactivity, little run time and limited replay value. Fahrenheit, the other TruVideo 32X CD release, didn’t sell particularly well on its own. The promotion didn’t find many takers – most people were wary of getting another add-on for their console, and so most buyers probably wanted to wait whether the 32X would eventually be worth the investment. It wasn’t, seeing as the 32X was discontinued in 1996, less than 18 months after its introduction. North American support for the Sega CD was also cut in 1995. Unfortunately, it isn’t quite clear what Sega had in mind when promoting the game. Of those in marketing who could be contacted, nobody could remember what the plans for the game were in particular or how well or badly it performed. It appears that this promotion was intended as (part of?) a final push for the Genesis add-ons, one that was cut short when the market folded and the decision was made to pull the plug, first on the Sega CD and then on the 32X shortly thereafter. Whatever the case, Surgical Strike, even with its ambition and its relatively warm reception by contemporary critics, wasn’t a success. The plans for a North American release of the 32X CD version were scrapped, and other regions never even got a copy for their own archives, let alone publication… or so it would seem! As is quite often the case, one region usually gets overlooked when looking back on release history, South America! During the 1980s, Brazil was a market of considerable interest; not all that surprising if you consider that it actually is he fifth-largest country in the world, both by geography and by population. However, the ’80s weren’t very kind to Brazil. While the economy had grown in the decades before, this had come at the cost of an increasing debt. When the nation entered the ’80s, it ran into economic struggle. People hardly could afford originally licensed products, especially when it came to the still infant console and computer markets. As a result, piracy ran rampant. Nintendo had to learn that the hard way. When it tried to introduce the NES to South America, it faced a fierce competition – by itself! Rather, by all the Famiclones that had already reached the market before Nintendo had tried to establish a base of its own. When Sega first tried to distribute the Master System worldwide, it tried to partner with other local businesses to gain a foothold. In North America, this strategy backfired. Nintendo already held 90% of the market and the partner, Tonka, had no experience with video games and utterly failed to place the product properly. The Canadian partner, Irwin Toy, fared little better. In Brazil however, with its large but economically difficult market, the move turned out to be a success. TecToy not only knew the market, but managed to avoid the pitfalls Nintendo ran into. Buying a Master System meant you got an original console, not a clone of dubious quality. 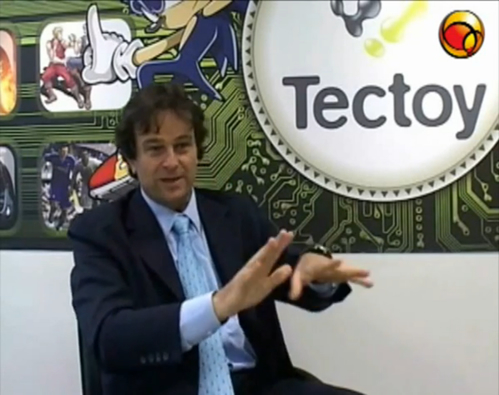 One can say that TecToy knew its respective market better that Tonka did in the U.S.; TecToy managed to gear the product more towards local tastes, for example, by modifying certain games with local licenses (like issuing Wonder Boy in Monster Land in a version with characters from the popular A Turma da Mônica comic series). Faced with a market ripe with unlicensed pirate clones, TecToy, by its own accounts, managed to eke out a market share of 70-80% with its 100% licensed Sega hardware that was in some cases even manufactured locally. Keep in mind, this partnership with TecToy was also formed before the foundation of international Sega subsidiaries like Sega Europe. In dealing with a difficult market but nevertheless proving successful, TecToy gained a certain leeway when marketing Sega products for the South American Mercosur region, probably more than other Sega subsidiaries, which had to follow a chain of command leading to SoA or SoJ, ever got themselves. TecToy also successfully handled the release of the Mega Drive. Covering the lion’s share of the console market in South America and having gained the buyers’ trust in that region, it was practically uncontested in fulfilling the 16-bit demands of the population. Nintendo officially entered the Mercusor market in 1993, at a time when TecToy had already dominantly established the Mega Drive, with the Master System still going strong as a low-tech, low-cost alternative. With this official confirmation at hand, it is safe to say that, with approximately 500 units sold world wide, the 32X CD port of Surgical Strike did indeed find an official release, but it surely is a rare beast. Hunting down a copy of the game may be an insurmountable task, although another forum member was able to hunt down a copy of the official manual and was able to provide a few pictures. Would it be worth it? Well, by all accounts, the experience would be the same as it’d be with the North American release of Fahrenheit, A graphically enhanced version of the same game with more colors and a slightly better framerate, sold in the same combo package, needing both the Sega CD and the 32X disc to run. Gameplay-wise, it might not be the greatest package – but one that contains quite a lot of history. Thanks in creating this feature go out towards: Christopher Bankston (former executive producer of TruVideo) and Stefano Arnhold (former CEO of TecToy Brazil) for their time and patience in answering my question; Steve Payne and Haven Carter (formerly of Sega of America) as well as Mark Kirkby (founder of The Code Monkeys) and Colin Hogg (lead programmer of Surgical Strike) for trying to assist, even if they couldn’t remember many details; and Sega-16 members goldenband, Barone and RebirfH for their insight in both the Brazil market situation and the collector’s POV. What an rich article. As a 32-year-old brazilian it is nice to revisit these eventos from another perspective, since I was only a young player owner of the mostra parte of the Sega TecToy consoles… I got my Sega CD eith a high costa only in 1995, and by that time it was amazing.